Partners: Exprivia, Links MT, Openwork, Omnitech, Cle, Gei Inform, Parsec3.26, Università di Bari, CICII – Università del Salento, Politecnico di Bari. 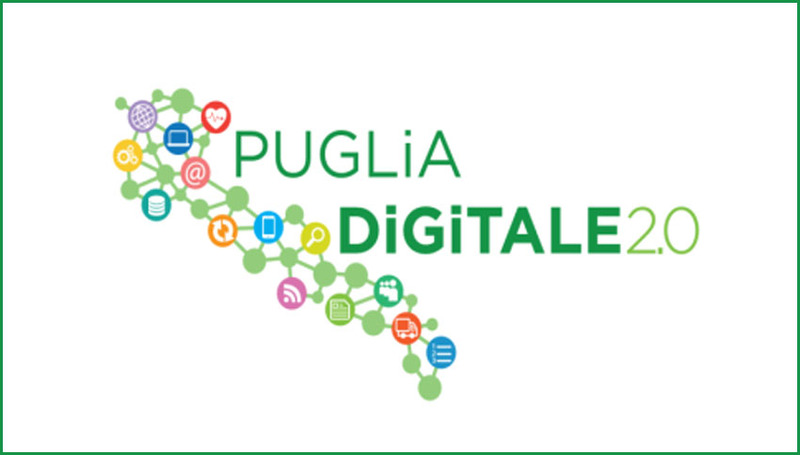 Puglia Digitale 2.0 is an important project for the Apulian Software supply chain. It aims to spread SaaS skills, to design and build a demonstration platform, called “Puglia Digitale 2.0 “, which includes a catalog of multi-company services, and to test and measure the value of the proposed solutions. The catalog of services, developed by Puglia Digitale 2.0, intends to develop an organized supply chain of digital services following the paradigm of creation, dynamic composition, deployment, distribution and execution of software applications: SaaS (Software as a service). functional and architecture specification of a Social Process Development application.